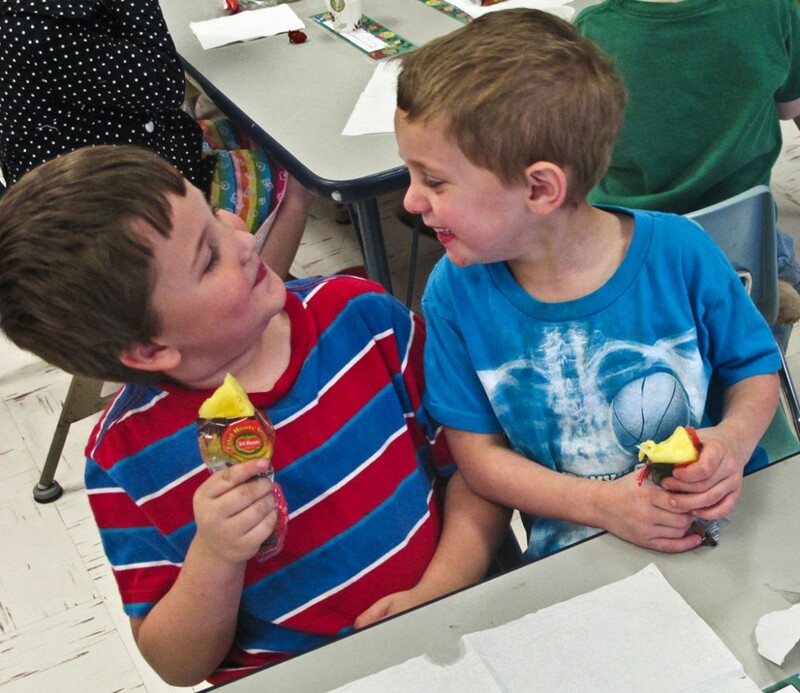 The kindergartners in the picture above at Gilmer County’s Sand Fork Elementary are loving their fresh pineapple slices, thanks to the federal Fresh Fruit and Vegetable program. West Virginia is a national leader in this program. Almost all eligible West Virginia schools take part. Schools that have a high percent of lower-income children can participate. “It has made a big difference in their willingness to try new foods and in the range of foods they realize they like,” said principal Sue McCue. Classroom materials sometimes come with the snacks, so children can learn about foods as they eat. They learn how and where foods grow, how people fix them, how that food helps their bodies. Schools can order foods they want from a USDA list. That means teachers can coordinate snacks with their lessons. One Mingo County school, for instance, ordered tropical fruits while some classes were studying South American countries. Schools use the classroom materials to varying degrees, Office of Child Nutrition staff say. At schools that do teach about the foods, “the kids have become a lot more interested in trying different things. 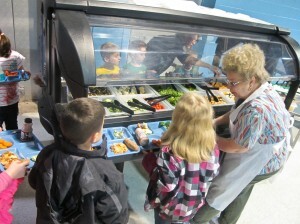 When they see those same foods on the salad bar, they want them,” said Lincoln County’s Midway Elementary principal Cheryl Workman. 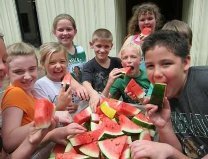 Dingess children enjoy a fresh watermelon snack.